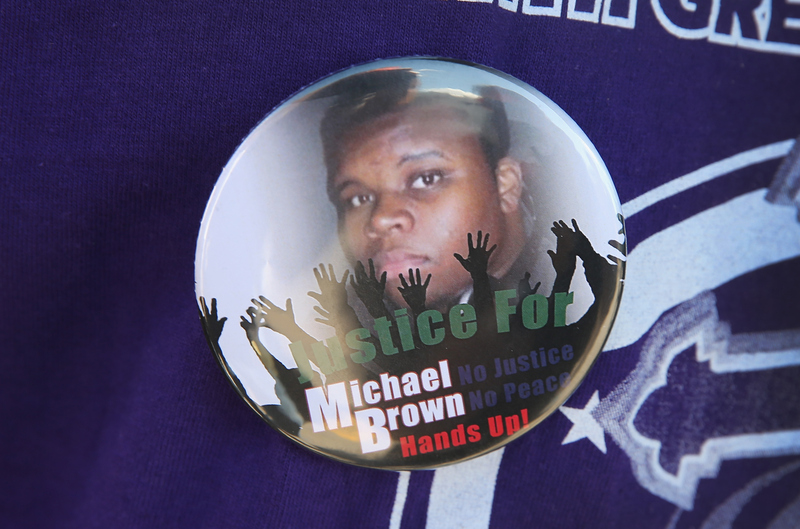 Will Ferguson shooting victim's juvenile records be released? CLAYTON, Mo. -- Lawyers for two media organizations asked a judge Wednesday to release any possible juvenile records of the unarmed 18-year-old who was killed by a suburban St. Louis police officer last month. A 45-minute hearing before a St. Louis County family court judge didn't reveal whether Michael Brown has such a record. However, a lawyer for the county juvenile office, which opposes the media requests, said only that Brown was never charged with a serious felony. Gray argued that even if Brown did have a brush with the juvenile court system - including for such low-level offenses as truancy - those details are irrelevant to the question of whether Wilson acted with excessive force. Also on Wednesday, a grand jury was scheduled to meet for the third time since Brown's death to consider evidence in a possible criminal case. The grand jury consists of six white men, three white women, two black women and one black man. Nine votes are needed to indict. According to the St. Louis Post-Dispatch, the racial makeup of the grand jury is similar to the racial breakdown of St. Louis County, which is about 24 percent black and about 68 percent white. The police shooting is also being investigated by the U.S. Justice Department's Civil Rights Division.